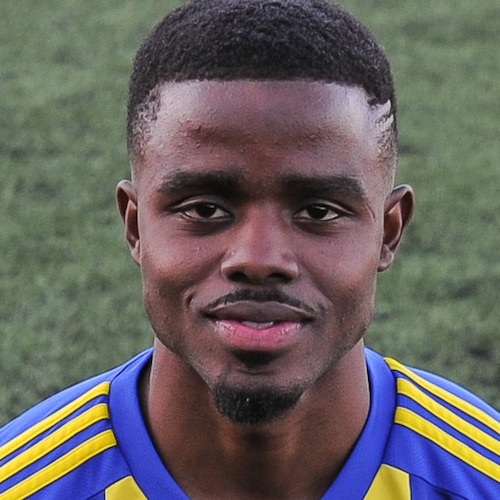 Attacking midfielder who signed for Khalsa ahead of the 2018-19 season, Garfield has previously turned out for Chasetown, Tividale, Spalding, Kettering and Cradley Town. Garfield had a short spell with Khalsa during the 2016-17 season, making his debut in a Staffordshire Senior Vase game against Stoke City before injury interrupted his progress. The pacy winger made his first appearance during his second spell for Khalsa in the first home game of the season against Highgate before more injury issues meant he was out of action until a Walsall Senior Cup game at Paget Rangers in late November. Garfield believes in unicorns and wakes up at 5am every day to walk the streets trying to find one before the normal people arrive, so that he might befriend it and make it his pet.